Located in the center of it all. 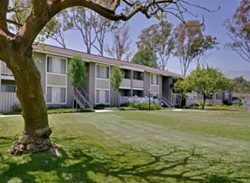 With easy freeway access, just minutes away from downtown Santa Barbara, Goleta and area entertainment, Patterson Place is a commuter’s dream. The outdoor enthusiast will delight in breathtaking mountain views, walking trails, and bicycle paths ready to take you to town, UCSB or the area’s finest beaches. Offering a relaxed environment surrounded by towering trees and manicured grounds, you will be proud to call Patterson Place Apartments your home.